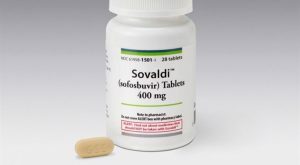 The fact that Gilead Sciences, Inc. (NASDAQ:GILD) stock trades at $78 per share and less than 7 times earnings is insulting to the intelligence of investors. AT&T Inc. (NYSE:T) isn’t exactly beaten-up. In fact, it’s only 6% off its high and has soared at a whopping 19% this year alone. Dividend stocks in just about every other industry are overvalued. Consider that Procter & Gamble Co (NYSE:PG), which yields just 3%, is trading at 21 times free cash flow. Further, many of the stocks that Wall Street considers top dividend plays continue to trade at multiyear highs — and many of those, like Exxon Mobil Corporation (NYSE:XOM), have real macro risks. It’s likely that no stock is more disrespected than Apple Inc. (NASDAQ:AAPL). Grocery retail is a segment of the economy that performs well regardless of the market. Within that segment, Kroger Co (NYSE:KR) has been the leader. Kroger has grown identical supermarket sales for 50 consecutive quarters, and has stolen market share from the likes of Wal-Mart Stores, Inc. (NYSE:WMT) while pushing smaller players like Whole Foods Market, Inc. (NASDAQ:WFM) aside. Despite its very impressive past growth, Kroger is on pace for 5% growth in each of the next two years as it enters new businesses like specialty pharma and online/mobile grocery. With that said, WBA is the king of retail pharmacy here in the U.S., but it is quickly building end-to-end solutions for the entire pharmaceutical space. When it successfully acquired Boots, it gained pharmaceutical wholesale and with a 23.9% stake in AmerisourceBergen Corp. (NYSE:ABC), it has distribution and sourcing incentives. After it absorbs Rite Aid Corporation (NYSE:RAD), Walgreens will grow its retail presence, but the bigger catch may be the gain of EnvisionRX through RAD, a pharmacy benefit manager, to compete with CVS. Bank of America Corp (NYSE:BAC) has had a great month after rallying 11%. However, it still is down 10% from its 52-week high, and it still presents a good buying opportunity. Dollar Tree, Inc. (NASDAQ:DLTR) has fallen 13% over the last month. The losses are in response to earnings that did not meet high expectations. 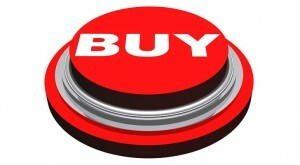 As of this writing, Brian Nichols was long AAPL, BAC, DLTR, GILD and T.
Article printed from InvestorPlace Media, https://investorplace.com/2016/09/7-oversold-stocks-to-buy/.